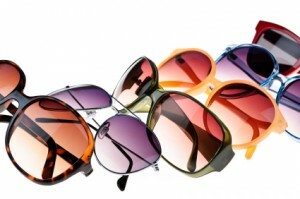 Parrelli Optical is the leading source of prescription sunglasses in Beverly, MA. If you’d like to enjoy the benefits of having sunglasses that correct your vision, you will love what we have to offer. There’s no need to make compromises when it comes to style and comfort. Virtually every frame we carry can be used for prescription sunglasses, so you have all kinds of options. There are plenty of great reasons to invest in prescription sunglasses. Perhaps you’re tired of dealing with clip-on or magnetic sunglasses, which are easy to misplace and frustrating to use. Maybe you wear contacts and prefer prescription sunglasses when you’re on the beach or in similar environments. No matter what your reasons may be, Parrelli Optical is ready to supply you with top-quality prescription sunglasses. You have all kinds of options when it comes to prescription sunglasses, but you’ll find the best ones at Parrelli Optical. Our prescription sunglasses include popular features like polarized lenses, which eliminate glare to ensure clear, crisp vision even while you’re out in the sun or hitting the ski slopes. Our sunglasses also have superior UV protection to keep your eyes safe and healthy. In terms of styles, the possibilities are practically endless. • Our staff includes highly trained optometrists and opticians who will help you find prescription sunglasses that suit your needs perfectly. • Our selection of frames and lenses is truly comprehensive, so there’s no need to make compromises. • Our convenient location means that you don’t have to search and high and low for what you need and can actually try on your sunglasses prior to buying them. At Parrelli Optical, we routinely make customers for life. When you come in to check out our selection, you’ll immediately see why that is. Don’t sell yourself short. If you’d like to take your pick from the best selection of prescription sunglasses in Beverly, MA, Parrelli Optical is the only way to go.